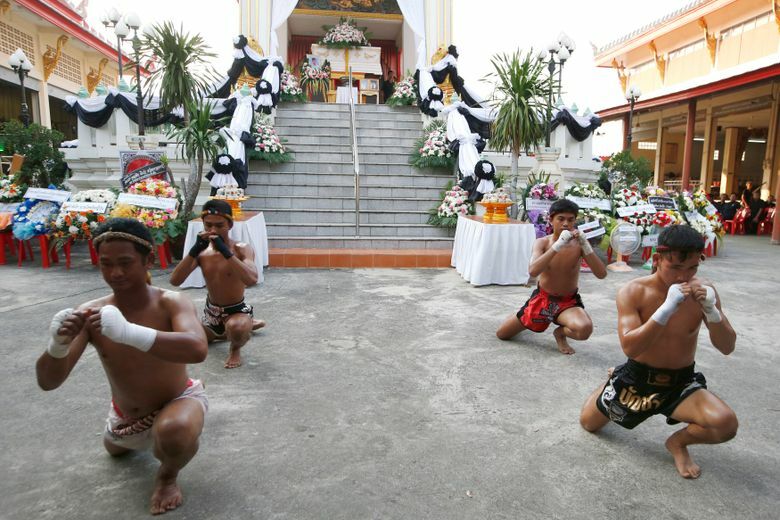 BANGKOK (AP) — The sight of two preteen boys pummeling each other with fists, elbows, knees and feet as a boisterous crowd shouts wagers at each other is considered good, clean sport in Thailand. 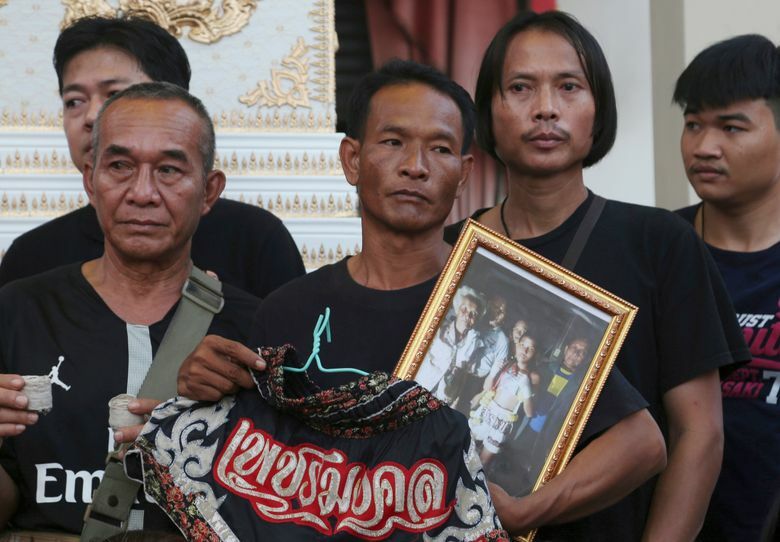 However, the death earlier this month of a 13-year-old Muay Thai contender may push forward changes to protect other youngsters in Thai kickboxing. Anucha Tasako died of a brain hemorrhage two days after he was knocked out in a bout on Nov. 10, his 174th match in a career that began at age 8. His death was a fluke, said some of the sport’s boosters. They said that the referee did not stop the fight soon enough, and that no doctor was available. But even those boys who can carry on fighting are almost guaranteed serious long-term health damage, according to a new report by a Thai doctor. 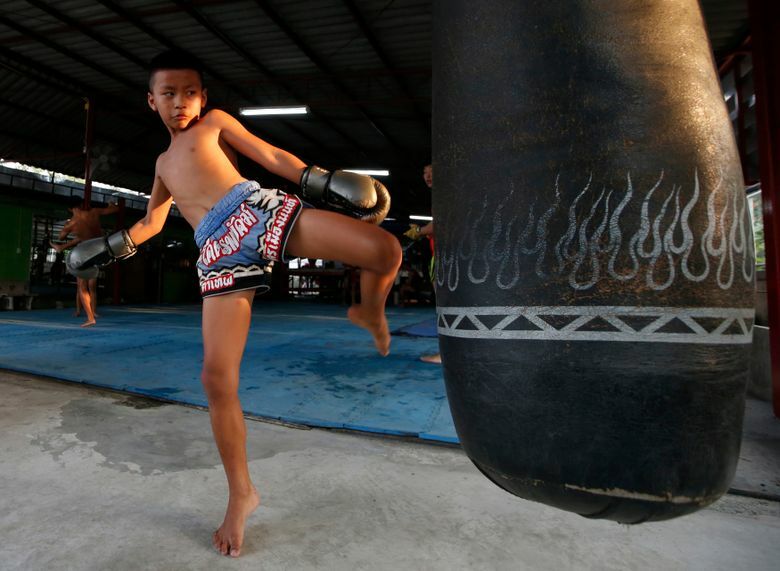 Thai lawmakers recently suggested barring children younger than 12 from competitive boxing, but boxing enthusiasts strongly oppose the change. They say the sport is part of Thai culture and gives poor families the opportunity to raise a champion that will lift their economic circumstances. Anucha was born in the poor northeastern province of Kalasin and raised by his grandparents since his parents split up when he was 3. Anucha was already becoming his family’s breadwinner when his uncle, a physical education teacher and boxing trainer, brought him to the Bangkok suburb of Samut Prakarn around a year ago to pursue a big-time boxing career. Anucha’s days started at 4:30 a.m. with a run and light training at the boxing gym. 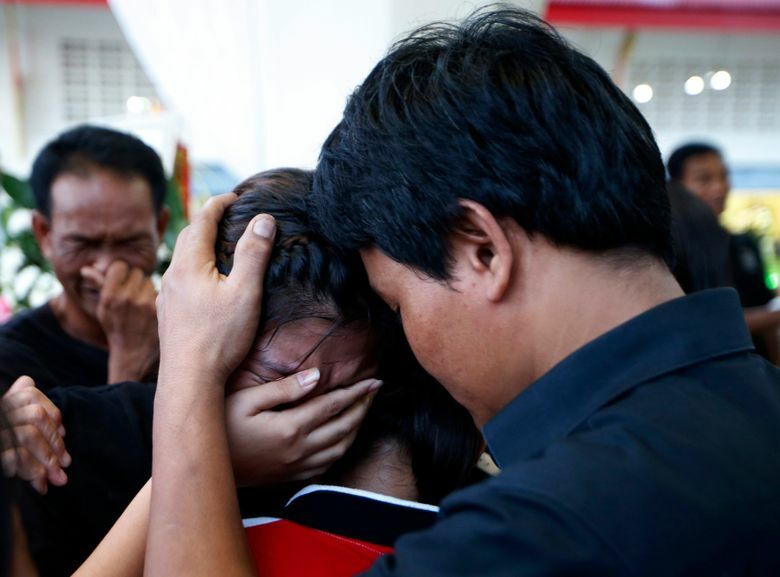 He attended school from 8 a.m. to 4 p.m. before heading back to the gym for more training until 8 p.m. Bedtime was 10 p.m.
Tapakorn Takimnok, 15, a fellow boxer and a friend of Anucha, said he woke up the younger boy every day and never once heard him complain. Anucha could occasionally earn as much as 10,000 to 40,000 baht ($300 to $1,200) for each fight he won, which he would give to his grandparents, siblings and uncles, Tapakorn said, adding that Anucha earned more than other young fighters because he fought often and was considered a gifted boxer. Young amateur boxers typically earn around 500 to 1,000 baht ($15 to 30) a fight. “I told him to stop boxing,” said Anucha’s 75-year-old grandmother, Subin Tasako. “He told me: Grandma, what else can I do? I’m young and I can’t work. If I stop boxing, how would I earn money to pay for school or support you? That’s what he said.” Subin said she didn’t know how to respond. Footage of Anucha’s fatal fight, posted online by Thai media outlets, show him briefly stumbling to the floor after taking a knee to his leg from his opponent. He picks himself back up, and the referee promptly allows the fight to resume, but Anucha appears to have had the fight knocked out of him. Moments later, he is staggering and defenseless against the ropes, as his opponent lands at least four hard punches to Anucha’s head, leaving him dazed, and perhaps even unconscious before he hits the floor and bangs his head hard on the mat. 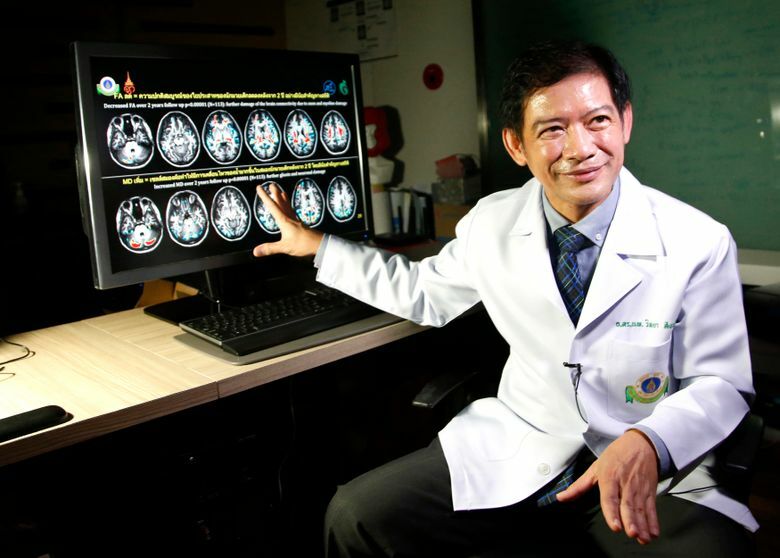 Dr. Witaya Sungkarat, a doctor from Ramathibodi Hospital in Bangkok, spent five years conducting a study published last month that compared brain development between young boxers and children not involved with the sport. The study’s results clearly show that boxing causes irreparable damage to a young child’s developing brain, he said, adding that the longer each participant had boxed, the worse their condition became. “If we keep letting children box and injure their brains without implementing measures to protect them, their futures are predictable,” Witaya said. Witaya understands part of the sport’s appeal. “People like to watch children box because they don’t lose on purpose and they genuinely fight each other,” he said, referring to the common perception that many professional boxing matches are fixed to accommodate bookies. But Anucha’s case, he said, shows how inadequate oversight in the Thai boxing industry had led young boxers to be overworked. Witaya referenced a provision allowing children to be paid “rewards” rather than being paid compensation for work. 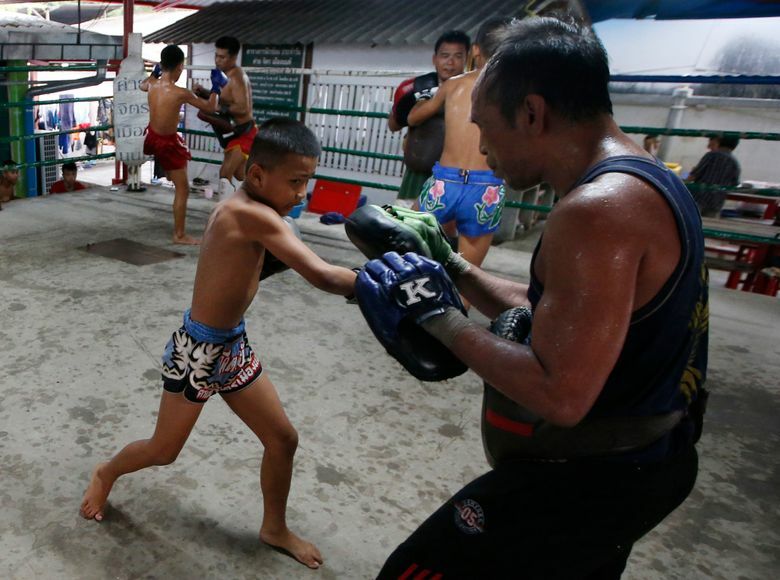 And while professional Muay Thai titles are only open to competitors age 15 or older and two major Bangkok stadiums have weight minimums, children can fight in unofficial matches outside the World Muay Thai Council supervision with a guardian’s permission. Sukrit Parekrithawet, a lawyer who represents several boxing camps, said the recently proposed legislation to regulate the sport was conceived by outsiders who do not understand it. He cited the success of former Thai boxing Olympic gold medalists such as Somluck Kamsing, who began his boxing career at the tender age of 7. Like many top-tier Muay Thai boxers, he made a transition to more lucrative conventional boxing, and became the first Thai athlete to win an Olympic gold medal, in the featherweight boxing competition in the 1996 Olympic Games in Atlanta. “If these guys did not start fighting at a young age would they be world champions today?” Sukrit said, adding his opinion that allowing children to box is not dangerous because the blows are not as forceful. 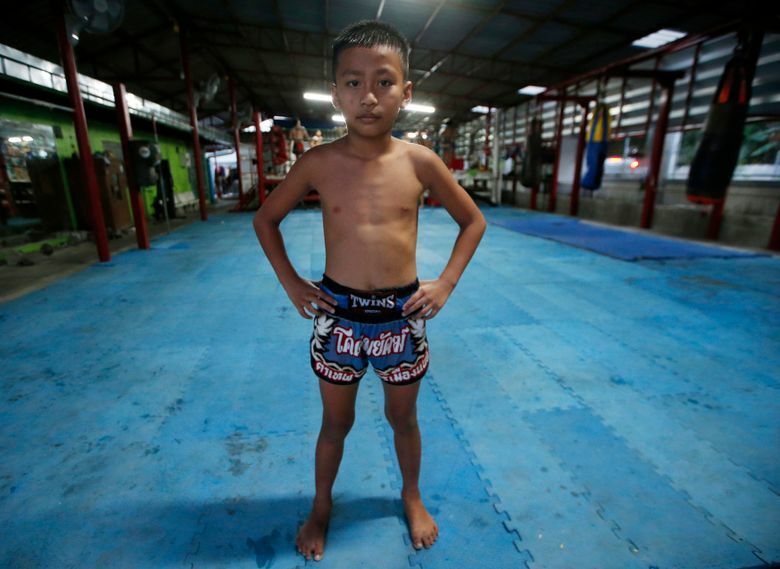 At the Jitmuangnon Gym in Bangkok, 10-year-old Chaichana Saengngern rises every day at around 4 a.m. to train before going to school, then returning to work out some more. He has 20 bouts under his belt since first stepping into the ring at the age of 8. Suthep said he doesn’t support banning children from boxing because it would rob many poor Thai families of the chance for their offspring to become professional athletes. “Every family’s economic background is different. People with money send their kids to play golf, tennis, swimming or shooting. But poor people can’t do that. We can only do boxing. This is our option,” Suthep said.